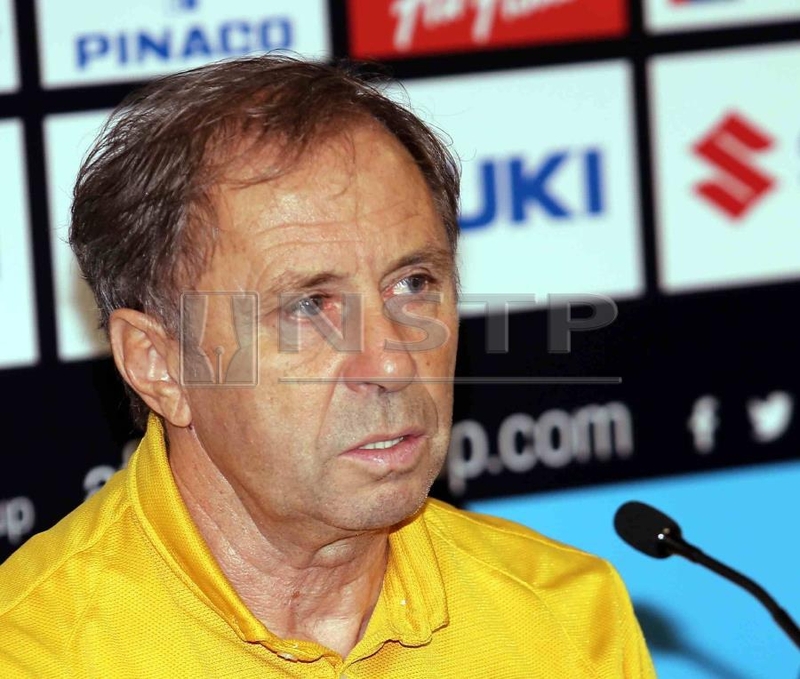 KUALA LUMPUR: Following five-time champions Thailand’s shock exit from the AFF Cup, their coach Milovan Rajevac is under pressure to resign from his post. During the post-match press conference yesterday after Thailand’s elimination by Malaysia in the AFF Cup semi-finals on away goals (2-2), Rajevac was asked the burning question by the local media. “That’s not something to be asked during this press conference,” an annoyed Rajevac replied. Rajevac has suffered this before - at the 2010 World Cup finals where Ghana lost to Uruguay after Asamoah Gyan failed to convert his penalty kick. Thai striker Adisak Kraisorn failed from the penalty spot. “We had a penalty kick and we failed to score. We were just unlucky,” said Rajevac. Meanwhile, Adisak expressed his regret at bungling his penalty kick. Adisak said he will try to regain his confidence for the Asia Cup final round in the United Arab Emirates next month.